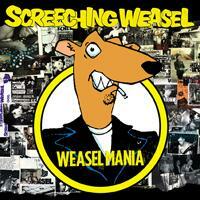 Screeching Weasel, First World Manifesto out March 15th + tour plans and rereleases of back catalogue! We are thrilled to announce that Fat will be releasing the first new Screeching Weasel record in 11 years! It is titled First World Manifesto and will be out on March 15th. Check out what Ben Weasel had to say about the record and a few other things below. We’re almost done with vocals on the new Screeching Weasel album so it’s as good a time as any to give you the lowdown. I had a ton of songs lying around that I’d written in the past decade but never recorded. A heck of a lot of them were top-notch jingles that would’ve been perfect for a Screeching Weasel album, had Screeching Weasel actually existed at that point. We didn’t, so they were relegated to the old tape pile and mostly forgotten. When Screeching Weasel got back together for the 11th time, I started polishing up those songs and writing a bunch of new ones. We did a quick demo last summer and sent it off to a couple labels but it was almost a foregone conclusion that if Fat wanted us back we’d be there with bells on. And so it came to pass: Fat Mike texted me the day after we sent the demos saying “Jolly good stuff, mate!” and we were off to the races. Joy to the world! So we’re back in the fold. But coming back after a ten year layoff? Believe me, sports fans, nobody knows better than me what it’s like to try to hop back in the saddle after a, uh, “hiatus” and reclaim your former glory, so we’ve pulled out all the stops on this one. From pure pop-punk ditties like “Baby Talk” and “Frankengirl” to point-and-laugh-at-the-punk-rocker anthems like “Little Big Man” and “Follow Your Leaders,” this is everything you could ask for from the band the humorless twats love to hate and the cultured, refined connoisseurs of quality rock and roll love to love. The album is titled First World Manifesto and will feature 14 songs. Mike Kennerty is producing and Justin Perkins is engineering at his studio, Mystery Room, and at the Blasthouse here in Madison. The album will be out March 15th on Fat Wreck Chords. Also being released on Fat starting in 2011 will be the Screeching Weasel, Riverdales and Ben Weasel back catalogs. I don’t have a schedule yet for those reissues but I’ll give you the heads up when I get it. To celebrate our return to Fat we’re releasing a limited edition, double LP version of Weaselmania. The Fat elves are only making 1,000 – 300 of those will be on yellow vinyl. It’s available today so make haste, get the lead out and hop to it. And as always we’ll be spending an inordinate amount of time in airports in 2011 as we run around playing shows. People always ask if we’re touring and I always say no because in my world, “touring” will always mean white-knuckling it down a mountain pass in a snowstorm in a rickety van full of holes, seated way too close to guys I started to hate about a day after hitting the road. So no, we’re not doing that anymore. Never say never, but having said that: never. But we are going to keep doing fly-ins and playing any city that wants us. So if you want to see us play somewhere, even in some third world country like Ireland or Canada, make an offer, or have the blokes in charge do it. We’ve been having a blast playing shows again for the past year and a half and we’re looking forward to more of the same in 2011 and beyond!